Our clients wholeheartedly agreed with our findings about the shortcomings of current M&A advisors. A better model was needed. 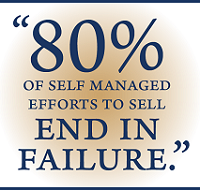 After all, 80% of self-managed efforts to sell end in failure. We needed to turn that statistic around for the companies we worked with. Thus, together with our clients, we built an entirely different investment bank, modeled to help privately held tech companies have the best chance for successfully selling. The core elements were to build the world’s largest buyer database, the most extensive educational programs to support it, and the best process with the right professional teams, led by the most senior dealmakers in the industry, former CEOs who had sold.